Magic light on the patterns of Lower Antelope Canyon created by warm light caused by reflexions on the sandstone walls of the canyon. 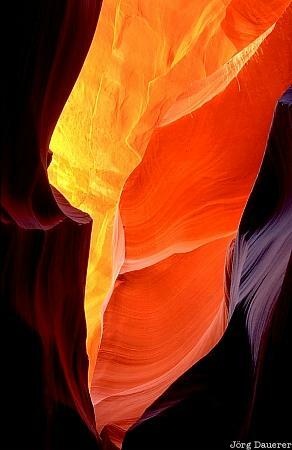 Lower Antelope Canyon is near Page in northern Arizona, United States. This photo was taken in the morning of a sunny day in May of 2002.